Our 2018 Spirit Fest is now over and by all accounts it was resounding success - thank you all for attending! For 2019, our main presenter will be Charles Eisenstein, described as a sacred activist. In addition to his book on economics, his more recent books include “The more beautiful world our hearts know is possible” and “Climate - A new story.” His website is: Charles Eisenstein.org The updating of this website is underway as the 2019 program comes together! The purpose of Ridgway Spirit Fest, Inc. is to advance awareness by offering presentations, speakers, discussion groups, movement, art and music, thereby increasing understanding of the many paths, faiths, traditions, cultures, philosophies and wisdom leading to the One Source. Our Spirit Fest Committee knew they had a hard task in front of them for the 2019 program after the resounding success of Father Richard Rohr from the Center for Action and Contemplation in Albuquerque in 2018. Maybe it was time for something new, different but equally appealing? Suddenly, out of nowhere, it all seemed to fit in. Charles Eisenstein, a sacred activist and author of a number of incredible books was on his way to making the world think differently. After reading “The Ascent of Humanity”, “Sacred Economics” and “The More Beautiful World Our Hearts Know is Possible” everybody was convinced that this rising star, who promotes a non-dual Story of Interbeing would be the ideal presenter to highlight this year’s Ridgway Spirit Fest. We were extremely fortunate to book him for October and since then, his new book “Climate-a New Story” is gaining much traction both from a natural resource perspective and challenging our spiritual values. He will be giving a Friday evening keynote and a workshop with Q & A on Saturday. But that is not all! In the works right now are programs embracing music, and time in nature through wilderness medicine walk and/or a Radical Joy for Hard Times “Earth Exchange,” plus an inspired workshop in support of “bringing it all home” given by Christie Strickland. 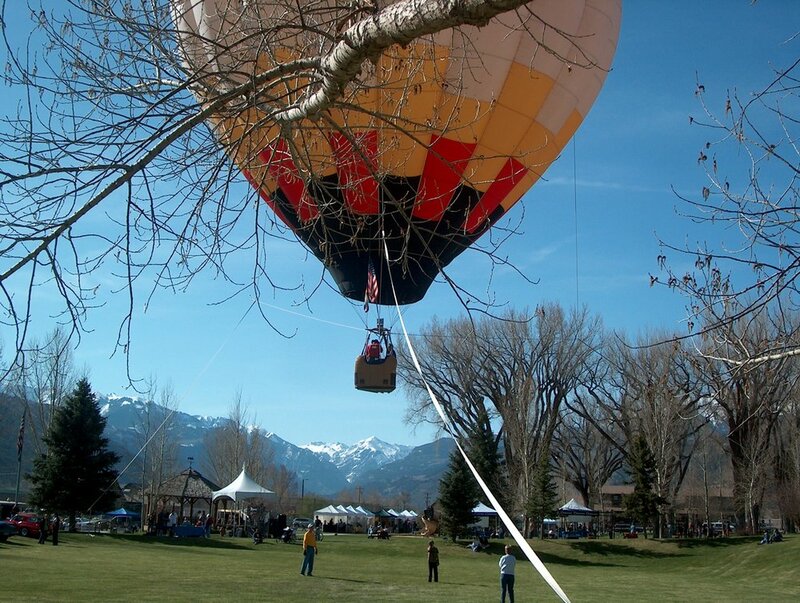 All of this will be conducted in the wonderful rural setting of Ridgway, Colorado, nestled in the shadows of the majestic San Juan Mountains. To enable everyone to participate, ticket prices for the whole three-day program have been reduced to just $60. Ridgway is a town of only 980 people with one traffic light. At 7000 feet elevation, it is beautifully nestled in a pristine valley in front of the spectacular San Juan Mountains to its south; dominated by our local fourteener, Mount Sneffels. Directly east lie the rugged Cimarron Mountains. Ten miles south, is Ouray (the Switzerland of America) and the iconic Red Mountain Pass. The town has become a gateway to Montrose, Telluride and Ouray and evokes a strong creative spirit. In 2017 the Ridgway Streetscape project was completed and this has added a new dimension to its vibrant and social environment. There are numerous good eating establishments in Ridgway and the town has become a magnet for creative arts. Without a doubt, Ridgway is a growing, progressive community which is now attracting a wonderful cross- section of outdoor-oriented enthusiasts and young, talented people who seek a lifestyle that is rewarding and wholesome, economically sustainable and ecologically responsible. 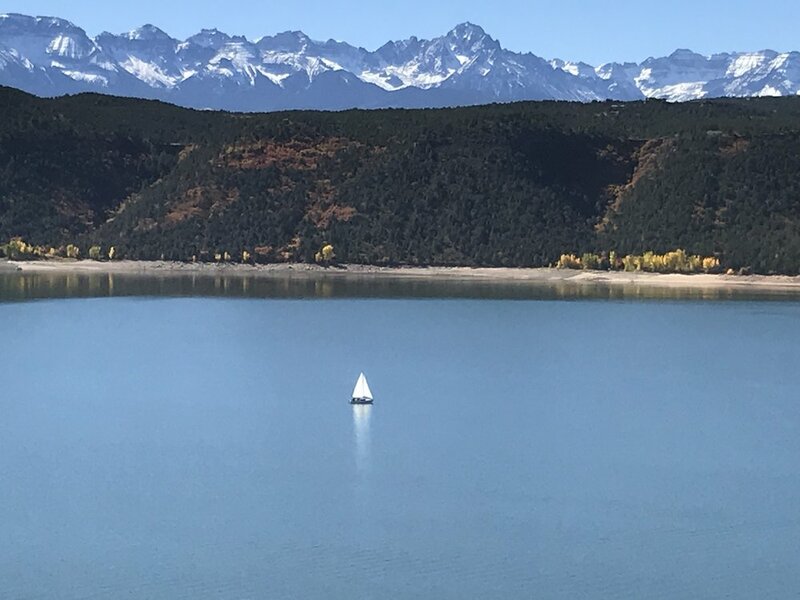 Mid October is a wonderful time to be in Ridgway. The summer tourists are gone so it is not too crowded. The days can still be warm, but nights are filled with the crisp clean air of approaching winter. (Average high about 62 with nighttime lows in the high 20s). The first pristine snows can usually be seen higher up in the mountains to the east and south and Fall colors in the valleys are still on display with many photographers gathering to capture amazing images.